I’m taking a couples assessment class this summer, and right now I’m reading about a tension between family therapy models that Sciarra and Simon (in Handbook of Multicultural Assessment) call either idiographic or nomothetic. Nomothetic models say that families have problems because they get out of whack in ways that families do. That is, each nomothetic model has its own list of ways that families can get out of whack and a therapist using that model is to keep a sharp lookout for those things. Structural therapists look for dysfunctional boundaries, for example. Strategic therapists look for incongruous hierarchies. Bowenians look for emotional reactivity. Emotionally-focused therapists look for maladaptive attachment styles. Each nomothetic model says that the therapist needs to assess for these underlying problems, treat them, and therapy should be successful. Idiographic models call nomothetic models “cultural imperialism.” That means nomothetic therapists are just teaching (or tricking) their clients into thinking, feeling, and acting like them. Nomothetic therapists are forcing their culture on their clients. Calling someone a cultural imperialist is about as close to an accusation of pure evil as a post-modernist will make. Further, idiographic models say that culture (any culture) is oppressive of individuals, and that this oppression is the only reason families seek therapy. The ideographic therapist’s job (Sciarra & Simon list language-systems, solution-focused, and narrative therapies as idiographic) is to have a conversation with families about the ways they are being oppressed by their culture. There are a couple of funny things going on here, but to understand it, first you need to know that nomothetic models are mostly “old-school” models that emerged in the 1950s and 60s, while ideographic models are newer, postmodern, all the rage, and emerged as a consequence of this nomothetic/ideographic conversation. In the 1980s, postmodern family therapists started saying that family therapy was arrogant and hierarchical and created the idiographic schools. Who is right? Well, that depends on your epistemology. So far, the nomothetic models have more experimental evidence to support them, and they are undeniably effective. To be fair, they have had more time to collect evidence, so in time things may go either way. And to be extra-fair, real post-modern idiographs can reject experimental evidence on philosophical grounds; experiments are so modern, so medical-model. What value system produced your research questions, anyway? That’s funny thing number two. Funny thing number three is that, as Ken Wilber says, everyone may be right. Perhaps problems happen at every level of complexity, from our bodies to our minds to our families to our larger social systems, and nomothetic models just specialize in the family level, while idiographic models specialize in cultures. It’s a neat idea, possibly too neat, and difficult to tease out. I’ve written a little about it here. The fourth funny thing is that the idiographic models, while broadening the scope of consideration in some ways, put the focus back on the individual in therapy. They say that culture is intrinsically dehumanizing, and that dehumanization is what an idiographic therapist talks about, but the other parties in the process are not part of the conversation. If I’m a narrative therapist and you send your depressed son to me, we will talk a lot about that depression. We will externalize it, maybe give it a name like “Mr. Funky,” talk about how Mr. Funky speaks with the voice of oppressive culture, talk about times when your son was able to overcome Mr. Funky’s influence and work on ways of increasing that ability. In the end, if I’m a good therapist, we have probably helped your son, but we’ve also focused on how your sonthinks, feels, and behaves, where a nomothetic therapist would have been focusing on the whole family–how do they interact? Do the parents get along? How might this symptom of depression make sense in your son’s immediate system of relationships? Who all has a stake in this behavior and can we get them in the room too? And so on. There is a way that by ostensibly moving the location of pathology out of the family to the larger culture, ideographic models have brought the clinical focus back to individuals, which may seem like regression to the founders of family therapy. Those of you who know me (and I believe that’s pretty much all of you, readers) and have the stamina to read these eleven paragraphs, I would love to know which of these models you think sounds the most like me. Systemic and Strategic Therapies: Using what most therapists consider the classic family therapy method, systemic family therapists conceptualize the symptoms of individuals within the larger network of their family and social systems while maintaining a nonblaming, nonpathologizing stance toward all members of the family. Systemic therapies are based ongeneral systems and cybernetics systems theories, which propose that families are living systems characterized by certain principles, including homeostasis, the tendency to maintain a particular range of behaviors and norms, and self-correction, the ability to identify when the system has gone too far from its homeostatic norm and then to self-correct to maintain balance. Systemic therapists rarely attempt linear, logical solutions to “educate” a family on better ways to communicate–this is almost never successful–but instead tap into the systemic dynamics to effect change. They introduce small, innocuous, yet highly meaningful alterations to the family’s interactions, allowing the family to naturally reorganize in response to the new information. Because this method effects change quickly, systemic therapies were the original brief therapies. Structural Therapy: As the name implies, structural therapists map family structure–boundaries, hierarchies, and subsystems–to help clients resolve individual mental health symptoms and relational problems. After assessing family functioning, therapists aim to restructure the family, realigning boundaries and hierarchies to promote growth and resolve problems. They are active in sessions, staging enactments, realigning chairs, and questioning family assumptions. Structural family therapy focuses on strengths, never seeing families as dysfunctional but rather as people who need assistance in expanding their repertoire of interaction patterns to adjust to their ever-changing developmental and contextual demands. The Satir Growth Model: One of the first prominent women in the field, Virginia Satir began her career in family therapy at the Mental Research Institute working alongside Jay Haley, Paul Watzlawick, Richard Fisch, and the other leading family therpists in Palo Alto. [These were the folks who came up with the “systemic and strategic therapies,” above.] She eventually left the MRI to develop her own ideas, which can broadly be described as infusing humanistic values into a system approach. She brought a warmth and enthusiasm for human potential that is unparalleled in the field of family therapy. Her therapy focused on fostering individual growth as well as improving family interactions. She used experiential exercises (e.g., family sculpting), metaphors, coaching, and the self of the therapist to facilitate change. Her work is practiced extensively internationally, with Satir practitioners connecting through the Satir Global Network. Symbolic-Experiential Therapy: Symbolic-experiential therapy is an experiential therapy model developed by Carl Whitaker. Whitaker referred to his work as “therapy of the absurd,” highlighting the unconventional and playful wisdom he used to help transorm family. Relying almost entirely on emotinal logic rahter than cognitive logic, his work is often misunderstood as nonsense, but it is more accurate to say that he worked with “heart sense.” Rather than intervene on behavrioral sequences like strtegic-systemic therapists, Whitaker focused on teh emotional process and family structure. He intervened directly at the emotional level of the system, relying heavily on “symbolism” and real life experiences as well as humor, play, and affective controntation. For the astute observer, Whitaker’s work embodied a deep and profound understanding of families’ emotional lives; to the casual observer, he often seemed rude or inappropriate. When he was “inappropriate,” it was always for the purpose of confronting or otherwise intervening on emotional dynamics that he wanted to expose, challenge, and transform. He was adamant about balancing strong emotional confrontation with warmth and support from the therapist. In many ways, he encouraged therapists to move beyond the rules of polite society and invite them selves and clients to be genuine and real enough to speak the whole truth. Bowen Intergenerational Therapy: Bowen intergenerational theory is more about the nature of being human than it is about families or family therapy. The Bowen approach requires therapists to work from a broad perspective that considers the evolution of the human species and the characteristics of all living systems. Therapists use this broad perspective to conceptualize client problems and then rely primarily on the therapist’s use of self to effect change. As a part of this broad perspective, therapists routinely consider the three-generational emotional process to better understand the current presenting symptoms. The process of therapy involves increasing clients’ awareness of how their current behavior is connected to multigenerational processes and the resulting family dynamics. The therapist’s primary tool for promoting client change is the therapist’s personal level of differentiation, the ability to distinguish self from other and manage interpersonal anxiety. Psychoanalytic Family Therapies: These therapies use traditional psychoanalytic and psychodynamic principles that describe inner conflicts and extend these principles to external relationships. In contrast to individual psychoanalysts, psychoanalytic family therapists focus on the family as a nexus of relationships that either support or impede the development and functioning of it’s members. As in traditional psychoanalytic approaches, the process of therapy involves analyzing intrapsychic and interpersonal dynamics, promoting client insight, and working through these insights to develop new ways of relating to self and others. Some of the more influential approaches are contextual therapy, family -of-origin therapy, and object relations family therapy. Behavioral and Cognitive-Behavioral Family Therapies: In the general mental health field, cognitive-behavioral therapies (CBTs) are some of the most commonly used therapeutic approaches. They have their roots in behaviorism–Pavlov’s research on stimulus-response pairings with dogs and Skinner’s research on rewards and punishments with cats–the premises of which are still widely used with phobias, anxiety, and parenting. Until the 1980s, most of the cognitive-behavioral family therapies were primarily behavioral: behavioral family therapy and behavioral couples therapy. In recent years, approaches that more directly incorporate cognitive components have developed: cognitive-behavioral family therapy and Gottman method couples therapy approach. Cognitive-behavioral family therapies integrate systemic concepts into standard cognitive-behavioral techniques by examining how family members–or any two people in a relationship–reinforce one another’s behaviors to maintain symptoms and relational pattern. Therapists generally assume a directive, “teaching,” or “coaching” relationship with clients, which is quite different from other approaches of “joining” or “empathizing” with clients to form a relationship. Because this approach is rooted in experimental psychology, research is central to its practice and evolution, resulting in a substantial evidence base. Solution-Based Therapies: Solution-based therapies are brief therapy approaches that grew out of the work of the Mental Research Institute in Palo Alto (MRI) and Milton Erickson’s brief therapy and trance work. The first and leading “strength-based” therapies, solution-based therapies are increasingly popular with clients, insurance companies, and county mental health agencies because they are efficient and respectful of clients. AS the name suggests, solution-based therapists work with the client to envision potential solutions based on the client’s experience and values. Once the client has selected a desirable outcome, the therapist assists the client in identifying small, incremental steps toward realizing this goal. The therapist does notsolve problems or offer solutions but instead collaborates with clients to develop aspirations and plans that they then translate into real-world action. Narrative Therapy: Developed by Michael White and David Epston in Australia and New Zealand, narrative therapy is based on the premise that we “story” and create the meaning of life events using available dominant discourses–broad societal stories, sociocultural practices, assumptions, and expectations about how we should live. People experience “problems” when their personal life does not fit with these dominant societal discourses and expectations. The process of narrative therapy involves separating the person from the problem, critically examining the assumptions that inform how the person evaluates himself/herself and his/her life. Through this process, clients identify alternative ways to view, act, and interact in daily life. Narrative therapists assume that all people are resourceful and have strengths, and they do not see “people” as having problems but rather see problems as being imposed upon people by unhelpful or harmful societal cultural practices. Posting about Albert Ellis yesterday reminded me of this cool film series made in 1965 calledThree Approaches to Psychotherapy. It shows three very famous therapists talking with the same client, named Gloria. First is Carl Rogers doing his non-directive Person Centered Therapy. Next is Fritz Perls doing his demanding-total-authenticity Gestalt therapy. (This was developed with his wife, Laura, making it the only one having significant female authorship.) Last is Albert Ellis doing his the-way-you-are-thinking-about-things-makes-you-unhappy Rational Emotive Behavior Therapy. I examine experiential family therapy in its philosophical context, its relationships with Becvar and Becvar’s (2006) core family systems theory assumptions, Watzlavick, Bevelas, & Jackson’s (1967) communication theory, and my own values system and beliefs about change. Experiential family therapy is the meeting place of the humanistic psychology and therapies of the likes of Abraham Maslow, Carl Rogers, and Fritz Perls, and the family systems and communication theories of the likes of Gregory Bateson, Don Jackson, and Paul Watzlavick. It might be more accurate to say “meeting places,” however, as it clear that experiential family therapy has never been a single coherent system for conducting therapy. Becvar and Becvar, for example, tend to refer to “experiential approaches to family therapy” (e.g. 2006, pp. 158-159), rather than an “experiential model” and focus on individual practitioners rather than a general theory or set of interventions. It is also telling that they place Virginia Satir, one of the two major progenitors of experiential approaches to family therapy, in their chapter on communication approaches, rather than that on experiential approaches. 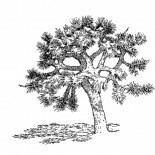 There are at least three major branches of the family systems family tree – Carl Whitaker’s symbolic-experiential approach, Walter Kempler’s Gestalt-experiential approach, and Virginia Satir’s communications approach (Becvar & Becvar, 2006) – but experiential therapists’ focus on the unique self of the therapist gives the impression that there may be as many models as therapists (e.g. Baldwin & Satir, 1987; Napier & Whitaker, 1978), and the focus on the unique experiences and responses of both clients and therapists, from moment to moment, can give the impression that there are infinite variations. In order to accommodate my newness to this subject and to write a reasonably short summary, however, I will treat experiential family therapy as one school of thought and use “experiential family therapy,” “experiential family therapists,” “experiential approaches,” and “the experiential model” somewhat interchangeably. I will certainly miss many of the subtleties and may overemphasize the work of the importance of Satir, whose work has produced more literature, but these appear to be necessary sacrifices in order to concisely explore experiential family therapy in its historical and philosophical context. The humanistic, experiential, or “third force” of psychology and psychotherapy arose primarily in reaction to the way the second force, behaviorism, completely disregarded the inner experience of individuals and focused only on easily quantifiable behaviors. And while carrying forward the psychodynamic ideas of the first force – psychoanalysis – humanistic therapists were also reacting against the Freudian emphasis on the client’s past, analysis, and intellectual understanding. The way that all of the various humanistic therapies were “experiential” was in the belief that therapeutic change occurs in the honest and accurate self-expression of the experience of both the therapist and client, in the here-and-now of the session, in the context of their genuine, empathic, therapeutic relationship (Greenburg, Watson, & Lietaer, 1998). Humanistic therapies also tended to share beliefs in the value of self-actualization, the reaching of human potential, and in the natural ability and tendency of individuals to achieve it (Nichols & Schwarts, 2008). In some ways, family systems theory can be seen as a resurgence of behaviorism, with its emphasis on observable behavior and insistence that the inner workings of another’s mind is unknowable, and best treated as a “Black Box” (e.g. Watzlavick, Bevelas, & Jackson, 1967, p. 43). For the most part, however, family systems theory was an attempt to apply general systems theory to family systems (e.g. Jackson 1957, 1965); it improved on behaviorism by observing and theorizing about complex, interpersonal behaviors from the context of systems theory’s “reciprocal causality,” by using Russell’s theory of logical types (Watzlavick et al., 1967), and a postmodern, constructivist epistemology. In other words, they asked “How shall we best help people, now that we understand that their problems lack linear causality, are dependent on their interpersonal contexts and the confusion that can occur in the entanglement of multiple, contradictory levels of communication, given that we can only view and think about families through our limited, personal, subjective perspectives?” The answer, they decided, is that we can help best by intervening at the level of family systems – humbly, without pathologizing – using paradoxical and structural interventions. That is, they refused to see individuals as sick or the cause of problems, focusing instead on the family system, tweaking or tricking it to force outmoded rules into adapting. Those who ended up calling themselves experiential family therapists agreed with the family system theorists that families got stuck in inflexible, old rules, in the family-systems sense. They agreed that the family system was the ideal level of intervention, as it was the family that could either facilitate or disallow its members’ self-actualization. But they gave equal weight to the experiences – especially the emotional experiences – of the therapist and of the individuals in the family. They took the humanist ideas that individuals tend towards, deserve, and can achieve self-actualization, and that learning and change happen best in the context of here-and-now experiencing in the context of a non-judgmental, compassionate relationship, and added it to the family-systems idea that families can fail to adapt to changing circumstances, or habitually communicate in self-contradictory ways, producing symptomatic behavior in their members in an unconscious attempt to maintain outmoded self-definitions. Family systems therapists also concentrated on the behavior of the system and the alleviation of the symptom to the extent that they could sometimes justify bending the truth, or even outright lying to family members (e.g. Fisch, Weakland, & Segal, 1982; Burbatti & Formenti, 1988); the ends justify the means. This is in stark contrast to the standard of authenticity that experiential therapists hold themselves to. Systems theory, one of the major philosophical foundations of all modern family therapies, came about in part as a reaction to traditional, linear and reductionist systems of thought and investigation. Taking things apart (e.g. chemistry, anatomy) and thinking in terms of simplified, idealized situations (e.g. Newtonian physics) have always been powerful methods for gaining knowledge, but systems theorists saw that they were also quite limited because in natural, complex systems, the whole is greater than the sum of its parts and causality tends to exist in loops, patterns, and patterns of loops, rather than straight lines. These qualities tend to be invisible from the pre-systems perspective, so therapeutic models developed before systems theory tended to have the linear, reductionist, medical model as a philosophical foundation. Family therapy models, on the other hand, tend to be more closely related to systems theory, and each model has its own relationship with the tenets of systems theory. Family systems theory, as opposed to general systems theory, also incorporates elements of postmodern philosophy. Postmodernism was, like systems theory, in part a reaction to traditional systems of thought and investigation, especially in how traditional thinkers assumed objectivity on the part of the observer. Postmodernists assert that since no one is objective, the closest we can come to the truth is perspective and opinion – meaning we must be humble about what we think we know. In the subsections below, I will discuss the experiential family therapy model in light of the core family systems theory assumptions listed by Becvar and Becvar (2006, p. 8), which are an amalgam of general systems theory and postmodern philosophical tenets applied to families. I will use the term “traditional” below to refer to approaches that predate systems thinking and postmodernism, such as modernist or positivist approaches, as well as older, myth- or theology-based approaches. Asks, “what?” and here-and-now focus. Traditionally, the important question to answer was “why?” Insight into causality was considered the most powerful tool for therapeutic change. In family systems theory, the focus shifted to “what?” This was ostensibly because “why?” was unknowable, but in practice, “why” was assumed — the family system is failing to adapt — so “what?” became the pertinent question; seeing the way in which the problem perpetuated itself – in the present, in the room with the therapist – was now the most powerful tool. Experiential therapists concur with this, both because of their systemic understanding that problems are maintained by the behavior of the family system, and because of their humanistic focus on the quality of experience in the moment. Reciprocal causality and patterns. Family systems thinkers believe that traditional thinkers see linear causality in the world because of a mistake in punctuating events. The classic example is the husband who withdraws “because” his wife nags. Instead of punctuating before the wife nags and after the husband withdraws, a systems thinker sees a reciprocally-causal pattern of events, in which the husband and wife are participating in an interactive pattern of nagging and withdrawing. Experiential therapists follow the systems model here, in seeing the shared influence but also introducing a kind of blame-free personal responsibility for one’s emotional states and behaviors with the exception of symptomatic behavior in children, which is seen as a somewhat unidirectional result of communication problems of the parents (Becvar & Becvar, 2006; Nichols, 2008). Wholistic. While traditional thinkers are reductionistic, seeing problems in individuals or even the psychodynamic or biological parts of individuals, family systems thinkers prefer to see problems in the context of the “whole” family system. Experiential family therapists may be more rigorous about this than those of most other models. Whitaker, for example, would often refuse to see clients without their families, and preferred to have three generations come in (Whitaker & Keith, 1982). Experiential therapists’ inclusion of emotion as an important aspect of therapy (Satir & Baldwin, 1983; Nichols & Schwartz, 2008) can also be seen as more “wholistic” than some other family therapists, who focus only on behavior and cognition. Subjective/perceptual. One of the great overestimations of traditional science was the belief that humans could be objective in their gathering knowledge. This misconception was set straight by postmodern philosophers such as Von Glasersfeld (1984), rather than systems theorists; an individual’s understanding is limited and colored at every step of the process, from perception to description, by factors of which they are not aware. Experiential therapists align with the postmodernists here, focusing on and trying to communicate – as authentically (as opposed to objectively) as possible – their own subjective experiences, rather than on “knowing” or the illusion of observing from the outside. Relational and contextual. Traditionally, problems were seen as pathology in an individual, or in a psychodynamic or biological part of an individual, but family systems theory came to see problems as existing in relational patterns, in communicative behavior and in the individual’s social context, usually the family. This tenet is strongly upheld by experiential therapists too; if individuals are naturally good and healthy in humanistic psychology, it has to be the context they exist in that produces symptomatic or problem behavior. Relativistic and dialectical. Modern science overcame the absolutism of the premodern era to a great degree, but a vestige remained in the form of a belief in the reality of the conceptual categories “discovered” by scientists, and in the implied truth of theories which had gathered some supportive evidence. Postmodernism came to see all opinions and ideas as part of a dialog between different perspectives, and thus not related to each other in hierarchical fashion – true versus false, or even more informed versus less informed – but existing side by side, equally valid. Experiential therapists follow this new tradition, giving equal weight to the experiences of all family members as well as the therapist. Experiential family therapy, while directed by the therapist, can look very much like a conversation in which the therapist and family members come to understand each other’s values and experiences (e.g. Menninger Video Productions, 1993; Golden Triad Films, 2004). Proactive. Family systems therapists tend to be proactive in comparison to the psychoanalytic school. That is, where in psychoanalysis the therapist and client would sit together regularly for years, talking about the client’s history and aiming at a restructuring of the client’s psychodynamics through intellectual insight, family systems therapists tend to do their work briefly, in 8-10 sessions, focusing on the client’s presenting problem with relative directness (Fisch et al., 1982). Experiential therapists are proactive compared to psychoanalysis, in that they work more briefly and use direct emotional interventions such as Satir’s family sculpting (Satir & Baldwin, 1983) or Whitaker’s emotional confrontation (Neill & Kniskern, 1982). They use straightforward coaching and reframing to cause the emotional and communication shifts they believe are called for. On the other hand, they may appear less proactive than some other family therapy models which focus more directly on changing a single, problematic behavior (Nichols & Schwartz, 2008). The term “communication theory” can be confusing because of its different meanings for experiential family therapists, family therapists in general, and psychologists in general. The communication theory created by Bateson and the Palo Alto/MRI team is primarily a theory of pragmatics, or the behavioral component of communication (Watzlavick et al., 1967), where a comprehensive theory of communication would also fully address syntax, or the structure of communication, and semantics, the meaning of communication (Carroll, 2008). This reflects the emphasis in family therapy of process over content. The major elements of communication theory as described by Watzlavick and colleagues (1967) are, (a) since all behavior is communication, it is impossible to not communicate; (b) the two basic levels of communication are the digital/verbal/content level, which conveys the dictionary-definition-of-the-words information, and the analog/non-verbal/relationship level, which conveys information about how the information sender views the nature of their relationship with the receiver; (c) relationship-level communication exchanges can be seen as attempts to assert which communicator has the power to determine the nature of the relationship; and (d) since communication almost always occurs in an ongoing social context, the punctuation of events by participants is somewhat arbitrary, and often confusing and self-serving. Most family therapy models use these insights to understand communication and experiential therapists are no exception. Indeed, Satir was part of the MRI team for many of the years they spent formulating their communication theory. What Satir ended up meaning by “communication theory,” however, while completely compatible with Bateson and MRI communication theory, had a very different focus: ways of preventing and clearing up miscommunications, and ways of giving and receiving information and requests in accurate, functional ways (see e.g. Satir, 1967, pp. 63-90). She emphasized, for example, the problems inherent in generalizing and assuming, and in various kinds of ambiguity in communication. I do not yet know how much other experiential therapists, such as Whitaker and Kempler, used these communications theories, but it was probably not to the extent Satir did, as even the rest of the MRI team mostly moved on to other strategies, while Satir continued to develop it (Napier & Whitaker, 1978). The core assumptions of experiential family therapists are essentially the core assumptions of humanistic psychology, adapted to a family systems epistemology: Unless held back by their environment, individual humans tend towards and self-actualization and can reach their potential. The environment is primarily the system of relationships and communication that individual exists in. It can stunt an individual’s growth by teaching them that it is not safe to fully feel or express the experience they are having, especially in the moment they are having it. This serves to keep individuals from understanding themselves and others as they are, and from experiencing real intimacy with others, and through that, from being able to experience their own true individuality. The remedy for this is genuine, uncensored experience, communicated accurately and authentically in intimate relationships, including the relationship with the therapist. The therapist’s role is to model this kind of psychological congruence and intimacy while coaching family members to follow suit in their own unique way. This will allow both the individuals and their system to mutually support growth to the highest levels (see e.g. Becvar & Becvar, 2004; Nichols & Swartz, 2008; Satir, 1972; Greenburg et al., 1998). For decades, the charismatic leaders of various family therapy schools distinguished their work from each other’s and advocated for the superiority of their models (Napier & Whitaker, 1978); in recent years it has become increasingly common to view all therapeutic change through the lens of the Common Factors of many models, rather than their differences (see e.g. Asay & Lambert, 1999). There is considerable evidence that the bulk of therapeutic change can be attributed to (a) the qualities and resources of clients, such as their resiliency, motivation, or community, (b) the qualities and skills of the individual therapists, (c) the quality of the therapeutic relationship, including the compatibility of the client and therapist’s objectives, (d) the client’s hope or expectancy of change, and (e) other factors such as behavioral, cognitive, and affective coaching (Sprenkle & Blow, 2004). Additionally, Sprenkle and Blow assert that family therapy has three Common Factors that individual therapy does not: a view of problems in the context of social systems, intervention at the level of systems, and multiple, simultaneous therapeutic relationships (2004). Experiential family therapists reflect all of the Common Factors in their process. They assume that it is the unique expression of the client’s strengths that is the engine for their personal growth. They emphasize that it is the ability of the therapist to model genuine expression of their own unique strengths and to form intimate, genuine connections with the clients that is the catalyst for change (Baldwin & Satir, 1987). Their belief in and respect for human beings should be a good vehicle for encouraging hope for change in clients. Experiential therapists offer behavioral and affective coaching as well as cognitive reframing as techniques to enhance the intimacy of relationships and accuracy of perception and expression. They view problems as residing in family systems as opposed to in individual psyches. They intervene primarily at the level of relationships and systems and form intimate relationships with each person in the system. At this early stage in my learning about family therapy models, I imagine that I will use experiential family therapy as my primary model with clients. I remain uncertain about how good a fit the standard techniques of experiential therapists, such as sculpting, will be for me, but I intend to remain open minded until I have used them skillfully for some time. My belief system is very closely aligned with humanistic psychology; I too believe that humans are innately good and inclined to growth, and that it is the systems of interaction and oppression we inherit that impede that process. I grew up in a holistic-oriented family. I have actively internalized the belief systems and modes of communication of two mentors who are existential therapists, one of whom was a protégé of Fritz Perls. I have practiced intimacy, honesty, and emotional fluency and fluidity in my peer-counseling and peer relationships for many years. I believe that the ability to notice my experience as it is and to express it authentically in my language, behavior, and affect, and my ability to compassionately notice the expression of others’ experience is the key to my being able to have deep relationships. I believe that the depth of our relationships is a large part of what make our lives meaningful, beautiful, and useful. There is a way that many family therapy models, in their focus on family systems, treat the individuals in those systems with less than full respect, actually lying to clients in some situations, to trick them into improving (e.g. Fisch et al., 1982) or, short of that, treating them as more or less fortunate cogs, Black Boxes, in their family systems. I love the way Virginia Satir, especially, is not manipulative, except in her compassionate reframing. I appreciate the way experiential therapists recognize the uniqueness and lovable-ness of each individual, and the way they view that recognition as the catalyst for positive change. Asay, T. P., & Lambert, M. J. (1999). The empirical case for the common factors in therapy: Quantitative findings. In M. A. Hubble, B. L. Duncan, & S. D. Miller (Eds.) The heart and soul of change: What works in therapy (pp. 23-25). Washington, DC: American Psychological Association. Baldwin, M. & Satir, V. (1987). The use of self in therapy. New York: Hawthorn. Becvar, D. S. & Becvar, R. J. (2006). Family therapy: A systemic integration. Boston, MA: Pearson. Carroll, D. W. (2008). Psychology of language. USA: Thompson Wadsworth. Fisch, R., Weakland, J. H., & Segal, L. (1982). The tactics of change: Doing therapy briefly. San Francisco: Josey-Bass. Golden Triad Films. (Producer). (2004). Blended family with a troubled boy [DVD]. Greenburg, L. S., Watson, J. C., & Lietaer, G. (1998). Handbook of experiential psychotherapy. New York: Guilford. Jackson, D. D. (1957). The question of family homeostasis. Psychiatric Quarterly supplement, 31, 79-90. Jackson, D. D. (1965). The study of the family. Family process, 4(1), 1-20. Menninger Video Productions. (Producer). (1993). Virginia Satir: The use of self in therapy [VHS]. Napier, A. Y. & Whitaker, C. A. (1978). The family crucible. New York: Harper & Row. Neill, J. R. & Kniskern, D. P. (1982). From psyche to system: The evolving therapy of Carl Whitaker. New York: Guilford. Nichols, M. P. & Schwartz, R. C. (2008). Family therapy: Concepts and methods. Boston: Pearson. Satir, V. & Baldwin, M. (1983). Satir step by step: A guide to creating change in families. Palo Alto, CA: Science and Behavior. Satir, V. (1967). Conjoint family therapy: A guide to theory and technique. Palo Alto, CA: Science and Behavior. Satir, V. (1972). Peoplemaking. Palo Alto, CA: Science and Behavior. Sprenkle, D. H. & Blow, A. J. (2004). Common factors and our sacred models. Journal of Marital and Family Therapy, 30(1) 113-129. Von Glasersfeld, E. (1984). An introduction to radical constructivism. In P. Watzlawick (Ed.) The invented reality (pp. 17-40). New York: Norton. Watzlavick, P., Bavelas, J. B., & Jackson, D. D. (1967). Pragmatics of human communication: A study of interactional patterns, pathologies, and paradoxes. New York: Norton. Whitaker, C. & Keith, D. V. (1982). Symbolic-experiential family therapy. In J. R. Neill & D. P. Kniskern (Eds. ), From psyche to system: The evolving Therapy of Carl Whitaker (pp. 330-378). New York: Guilford.